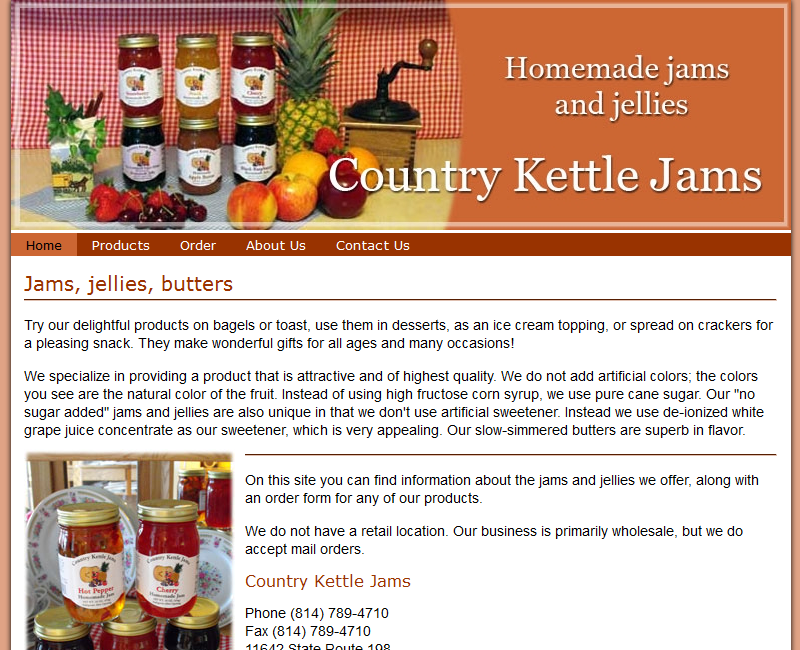 Country Kettle Jams is a great family-owned business in the small village of Guys Mills. Enos and Rhoda make delicious jams and jellies that they provide to local retailers. They also accept mail orders, available through their website. My wife likes their peach jam best, but I'm partial to the strawberry jam. Solution: get both.